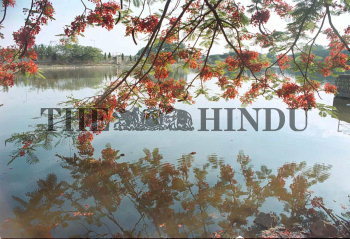 Caption : Delonix Regia (Bojer ex Hook), known as Gulmohar in English, in full bloom in Bangalore. Photo: T.L. Prabhakar.